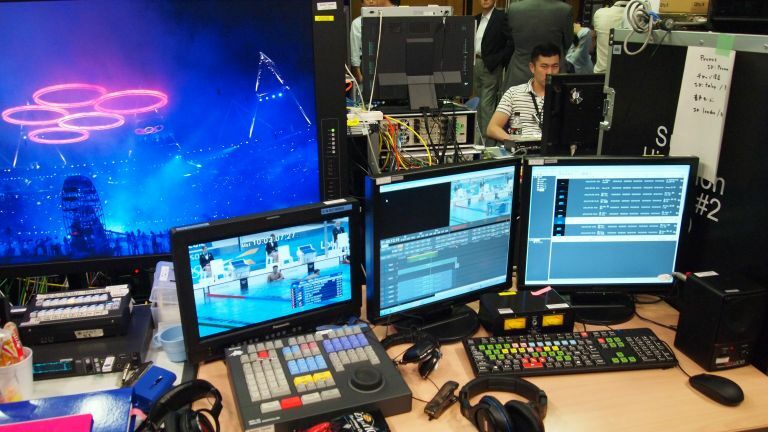 Can new ultra-high quality 8K TV technology ever become a broadcast reality? Forget going to live Olympic events, the tickets you really wanted during the London 2012 Olympic Games were to the first public demonstrations of Super Hi Vision, the futuristic TV technology developed by Japanese state broadcaster NHK. We've had out eyeballs rewired by Super Hi-Vision (SHV), and now fear nothing will ever look quite the same again. The ultra hi-def format delivers pictures 16x as dense as Full HD. That's 33 million pixels, compared to 2m. Even cutting-edge 4K digital cinemas stall at 8m. Super Hi Vision is, quite simply, TV ripped from the future. “This advanced television system gives an unrivalled sense of presence,” says Dr Keiichi Kubota, NHK's Executive DG of Engineering, “it enables a viewing experience that is as close to reality as possible.” That's an understatement. In some ways, Super Hi Vision is better than reality (few eyeballs can match the clarity and depth-of-field of an 8K camera). But can such a data-hogging TV system ever become a broadcast reality? The man from NHK says it can – it's just a matter problem solving. “Our next challenge is to develop compression technology, so that these rich images can be sent around the world by satellite and through fibre optic networks. We also have to develop new transmission technology, so that the compressed signal can then be squeezed into terrestrial and satellite channels.” Dr Kubota doesn't rule out the possibility of streaming 8K SHV on the internet either. What lies ahead for the television set in a world of on-demand streaming and 8K resolutions?